Search Engine Advertising (in short: SEA), is a part of search engine marketing and thus an integral part of online marketing. Search engine advertising is a range of paid-for ads that are mostly displayed on the results pages of search engines like Google. Website owners don’t just rely on a search engine’s organic results to reach users and potential customers. It’s also possible to run paid-for ads that can be displayed on search results pages to match the search criteria and user characteristics. While organic search results may be affected by techniques that are influenced by keyword search engine optimization, paid-for advertisements are classified as search engine advertising. In order to place interactive advertising in search engines, website operators must register with an advertising network. These networks control the activation of such advertisements and also regulate the pricing, design and visibility of the displays. One of the most popular networks is Google AdWords. Website owners use these advertisements to secure a more extensive reach for their website, and thus a better response to the desired keywords. The ads are activated whenever user data matches the target-group data collected by Google. To ensure a website owner’s advertising is likely to reach matching users and potential customers, Google places the ads above (and under) the organic search results so that they are clearly visible. Although these snippets are labelled as advertisements, they look very similar to the organic search results. The searcher therefore accepts search engine advertising – and is more likely to click on it – even though it is of more limited value. Where and how often an ad is displayed in the search engine results is dependent on various factors. Google AdWords – like most networks – auctions off advertising space for each keyword. However, the winner is not necessarily the one who offers the highest price, but must be the one who in addition can also provide the most appropriate site for the desired keyword. Google automatically calculates a “quality score” for participating sites. The network checks a site’s relevance and how it displays the desired keywords as well as how users of this website have reacted in the past. Have they chosen to quit the domain without further action (= high bounce rate)? How long have users remained on the site (= high dwell time)? Or has the website persuaded users to complete a conversion? Google ranks the site according to these factors with a value between 1 (irrelevant for the keyword) and 10 (highly relevant for the keyword). In addition, the network bases its pricing on the previous bidding history of each keyword. Those keywords frequently clicked in the past will be more sought after, and normally more expensive, than less-popular keywords. The advertisers make their bids in line with these pricing assessments. Google then multiplies each bid by its “quality factor” and so determines the winner of the auction. The winner’s advert will be displayed most frequently and/or displayed in the best position. The keyword “shoes” has an average of 165,000 monthly searches. It is highly competitive, and Google is proposing a bid price of 80 cents (per click on the ad). Website (A), with a quality factor of 5, would achieve an AdRank of 4 against this bid price (5 x 0.8). However, website (B), with a quality factor of 10, would actually achieve an AdRank of 8 (10 x 0.8). Thus, in order to secure a winning bid for the best advertising space, Website A would have to offer at least $1.61 to receive the award (5 x 1.61 = 8.05). Advertisements displayed in the SERPs are matched to keyword searches. So a user searching for the keyword “shoes” will be presented with advertisements selling shoes. Language: Google takes the searcher’s language into account and thus only displays ads in the local language. Location: Ads will cost more or less depending on the country, state or city. A marketer can, for example, offer more for their ad campaigns if they want the ads to appear more frequently and more visibly in searches in Berlin. Daily and weekly hours: Google can display ads more or less often, on certain days, or at certain times of day. This again will influence an advertiser’s bidding behavior. Remarketing lists: With remarketing, adverts are displayed to users depending on how they have behaved in the past. For example, a user who has previously visited a site will have a different display experience as compared with a user who doesn’t know the site. These targeting factors are also taken into account by advertisers using AdWords. The billing of online advertisements can vary. For Google AdWords, the bidding represents (approximately) the maximum price the advertiser is willing to pay per click. This means the only cost incurred is the incremental charge each time a user clicks on the ad. Cost-per-click (CPC): The advertiser is charged a fixed amount each time a user clicks on the ad. Cost-per-acquisition (CPA): The advertiser is charged a fixed amount each time a user triggers a specific conversion. Cost-per- thousand (CPT): The advertiser pays for every 1000 insertions (impressions) on the Google Display Network. Cost-per-view (CPV): The advertiser is charged every time there is a user interaction with a video (for example, a click on a video’s call-to-action). While SEA thus generates costs, SEO advertising measures are usually free. However, those costs may arise when agencies charge for their specific expertise and make their software available for a fee. Keyword Planner:Google’s Keyword Planner is used to identify appropriate keywords for advertising campaigns. It offers the useful option of viewing the traffic, competition and the cost of keywords on Google. In addition, marketers can also get new keyword ideas or suggestions for expanding existing keyword ideas. Google Analytics: Google tools can monitor the traffic from paid ads in the SERPs, and Google Analytics can also provide access to valuable information such as bounce rate and the time spent on pages. Google uses these values, along with others, to determine a website’s quality factor. AdWords Editor:AdWords Editor makes it easy to edit and customize AdWords campaigns. Bid and campaign management tools: bid management tools like Marin simplify managing campaigns and bids in programs like AdWords. Market and competition tools: Tools such as comScore can analyze digital markets and competitors, helping to optimize your own advertising campaigns. SEO/SEM tools:SEO tools like Searchmetrics and SEMrush offer features that allow you to check search engine advertising and analyse SEA campaigns. The display text on Google AdWords and similar follow certain conventions and design guidelines. Announcements are usually made in a headline, with perhaps a brief text and a URL. In addition, the snippets may include extensions such as site links, reviews or phone numbers. With a click on the ad, the user is directed to a purpose-built landing page or another domain page. Alongside SEO, search advertising is another part of search engine marketing and is thus part of online marketing. Using various networks, website owners can place paid ads on search results pages and gain (new) users for their site. 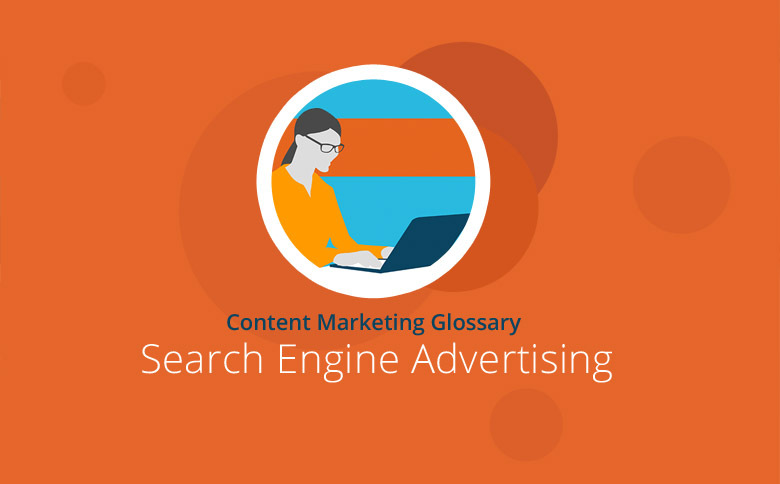 Ads will be displayed to match the users’ search queries. Google AdWords is among the largest of the networks, and here the best display spaces are allocated by auction. The decisive factor is not only the needs of prospective customers but also the quality of the respective sites in terms of relevant keywords. Google automatically calculates a website’s quality score. Advertising costs vary depending on the method, and advertisers will often pay for each click on the ad (CPC). Various tools are available to monitor and analyze SEA measures. As a provider of one of the largest ad networks, Google provides website operators with various programs such as Keyword Planner and Google Analytics to make the most of search advertising.